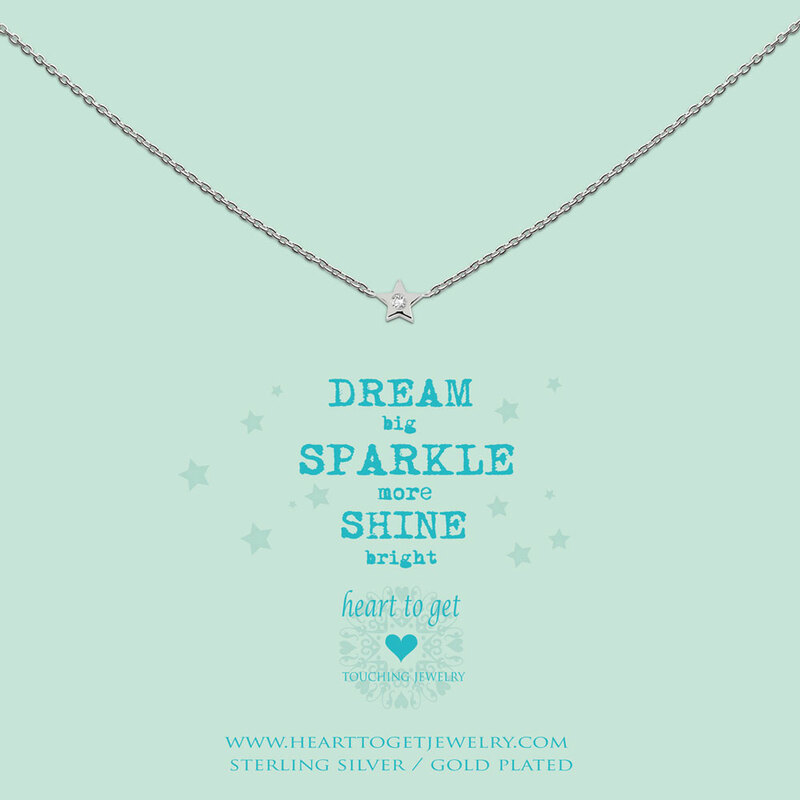 Heart to Get Sparkle collection is a collection for the ones who are born to sparkle. Glitter up your (party) outfit with this necklace! Necklace star zirkon wears the message ‘Dream big, Sparkle more, Shine bright’. Length of the bracelet: 40 cm + 4 cm extension. Available in silver, gold plated or rose plated with a zirkonia stone.